This was a gift I bought for a very close friend’s birthday because I thought making a memory was a lovely thing to do and spending time with her makes everything fun. Plus everyone wants to try this secretly, I’m absolutely sure of it. I’ve been to the Art House a number of times, often for cake, but sometimes for art activities with the kids like fabric printing and slab building beach huts. It’s a wonderful venue offering a variety of art courses with a social conscience and has great facilities for throwing on the potters’ wheel. Some of the people that go to the classes are experienced and talented. Some are more like us – enthusiastic experience hunters. 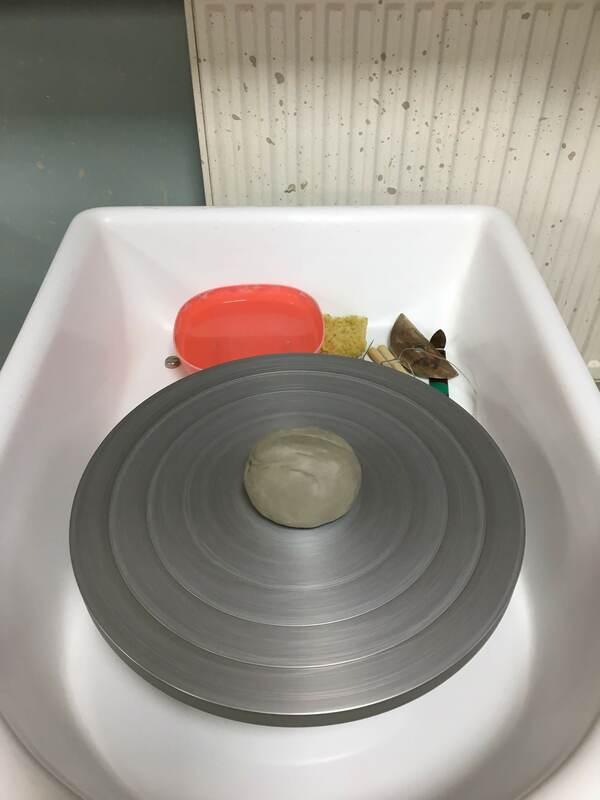 We watched the teacher throw several pots for us all as an example and laughed a fair bit at the idea we would be able to create anything with an actual base and sides. We had over an hour with mucky hands and spinning lumps of clay. It was fun, messy, and mindful. It was also impossible to take photos as IPhones and wet clay aren’t a match made in heaven, but it was good not to be distracted anyway. I tried for a vase or pencil pot and ended up with three shallow bowls no matter how hard I tried. Sometimes they collapsed all together. Clay was splattered all over me and the wall. There was a time when I would have been frustrated with pot throwing. In fact in the past I probably wouldn’t have even given it a try because I would have known I’d be awful and incapable of coping with the embarrassment. Now, it appears, I seem to not care anymore – I just loved having a go. We came out with a number of pots for the kiln that I need to pick up this week. They can hold, oh I don’t know, olives, hummus and potpourri. Or maybe my unfinished crochet project. I flipping loved doing this, and I loved doing this with my friend even more. That is what this whole project seems to be about. We missed a trick because Ghost was playing at the Lyceum in the evening. We could have compared ourselves to Demi Moore but we went for pizza instead.